Joseph Wood had “been gasping and snorting for more than an hour,” his legal team said. 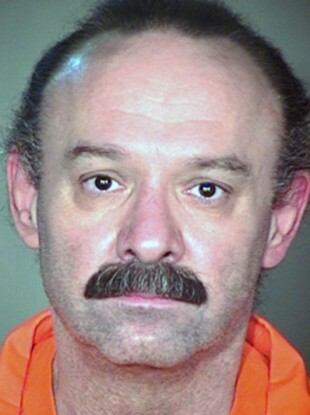 A CONVICTED MURDERER “gasped for an hour” in a botched execution in the US state of Arizona overnight. Joseph Wood’s prolonged death comes just months after another inmate suffered an excruciating attempted execution in Oklahoma. Wood’s lawyers had filed emergency appeals with federal and state courts while the execution was underway, demanding that it be stopped. The state’s Governor Jan Brewer said afterwards that she is ordering a review of the state’s execution process. An Associated Press reporter who witnessed the execution said that Wood began gasping as a sedative and pain killer were injected into his bloodstream. He was checked six times over the next two hours, but continued to gasp. State Director of the Department of Corrections Charles Ryan said that Wood was comatose and was never in any pain. However, Wood’s lawyer Dale Baich called it a botched execution that should have taken 10 minutes. The family of Wood’s victim said they had no problems with the execution. “This man conducted a horrifying murder and you guys are going, ‘let’s worry about the drugs,’” said Richard Brown, the brother-in-law of Debbie Dietz, who was 29 when she was killed in 1989. Why didn’t they give him a bullet? Why didn’t we give him Drano? Wood had angered the family by smiling at them as he delivered his last words, saying that he hoped they “find peace in your hearts”. The Arizona case is the third such case this year, with Arizona using the same type of drugs as Ohio, where an inmate gasped for half an hour as he died. A different mixture was used in the Oklahoma case. Wood became the third person executed by Arizona since October, the 36th since 1992. Email “Convicted murderer takes two hours to die in botched execution”. Feedback on “Convicted murderer takes two hours to die in botched execution”.